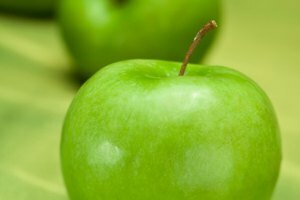 According to the Center for Disease Control and Prevention, the average American consumes 120 apples every year. 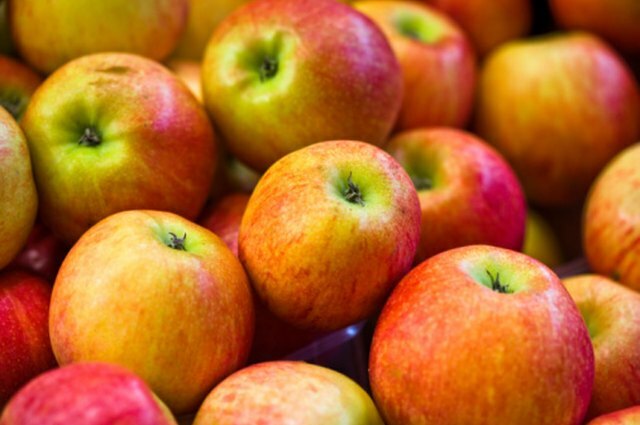 There are about 2,500 known varieties of apples grown in the United States. Apples generally stay fresh for up to two weeks, although it depends on the variety. Moldy or rotten apples release chemicals, like ethylene, that cause other fruits and vegetables to rot faster. Eating rotten or moldy apples can make people quite sick. There are several steps needed in order to tell if apples are moldy. Check to see if there is an expiration date for your apples. 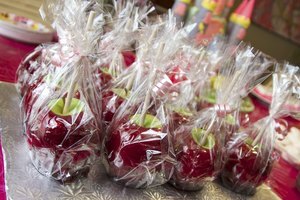 Bags of apples will often have an expiration date, while loose apples will not. Apples past their expiration date are more likely to be moldy. Take a close look at the apple. Dark spots with a slightly fuzzy center are signs of a moldy apple. Mold has a fuzzy gray or white appearance. 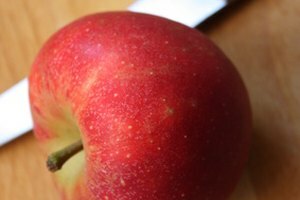 Good apples should be shiny and bright colored, with only one or two dark spots. Squeeze the apple. If juice runs out of the apple, or if the apple feels mushy, it may be moldy. Good apples should be firm and crisp when squeezed. Cut into the apple before eating it. 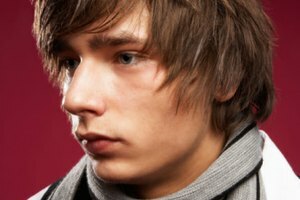 If you see a few slightly discolored spots, cut them off. If there are numerous large dark spots the apple is rotting and moldy. Throw it away. Do not eat apples that are dark or brown on the outside. These apples are most likely moldy on the inside, causing the apple's outside to brown. 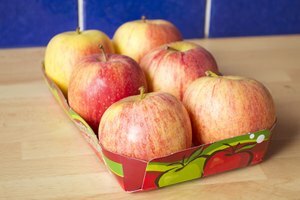 Store apples in a dark and cool place, such as a crisper of a refrigerator. This will help them stay fresh longer. Do not wash apples until you are ready to eat them. Washing apples then storing them helps mold grow.